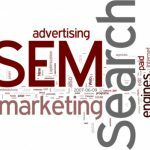 Search Engine Marketing – What Is It Exactly? 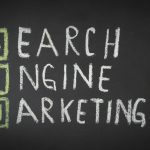 Search Engine Marketing is a term you’ve probably heard many times. But what exactly does it mean? The term refers to the different ways in which companies get noticed and attract customers to their websites. Some of the related areas include pay per click, click through rates and search engine optimization. In this four-part series, we will explore these different areas and how you can use them to build your business. 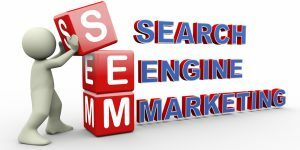 Search Engine Marketing, or SEM, has been around for years, but it is always changing and improving in order to maximize profits. It does take some knowledge of the process in order to make it work well for you and improve business on your site. There are several different tools involved in the Search Engine Marketing process. In this report, you will learn how to understand and use them in order to optimize your website and increase profits. Let’s begin with a little history on the subject. After the invention of the internet brought a world of information to our fingertips, the most important next step was to come up with a way to easily search this infinite field for specific, relevant results. Tech programmers and mathematicians worked together to develop algorithms which allowed people to locate information quickly using search engines. These search engines grouped relevant results together within the given search parameters. It wasn’t necessary for us computer users to learn these complicated algorithms. The techies made the search capabilities user-friendly by setting up a search box where all we had to do was enter words or phrases, now known as keywords. By entering these keywords for a search, suddenly the whole wealth of information available on the internet became easily accessible on the screen in front of us. The original algorithms have changed, and continue to do so, which means they are unpredictable. However, savvy marketers stepped in and developed a way to use these search results to direct searchers to a particular site or webpage. 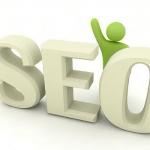 Online businesses were eager to use these search results to boost their business. But the engineers who developed the search technology also wanted to realize some profit from the effort they put into providing this free search capability to the public. 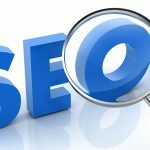 The search engine operators realized that businesses would be willing to pay a premium to have their companies appear on search result pages, regardless of how their search engine optimization was perfected. The most popular search engines, including Google and Yahoo, began to sell advertising space on their search result pages. This was the beginning of the sponsored ads and links which are now prevalent on these pages. This idea worked well and brought in enormous revenue for both the advertisers and the search engines. These companies now offer marketing programs which allow businesses to bid on top ad placement within search results and learn how to use specific lists of keywords to create compelling ads. Of course, optimizing your website to appear high in the free search rankings is a very important part of maximizing your business. You will want to start this process right away. However, seeing profitable results does take some time. 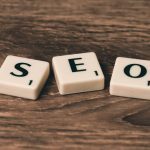 While you wait for the traffic from your search optimization to generate, it may be wise to invest in some paid search placement to keep your business flowing with immediate traffic. The way in which search engines rank websites has changed a lot over the course of the past decade. While the basics remain the same, there is now more of a focus on ‘off page factors’, as opposed to ‘on page factors’. These are terms we will explore more in depth later in this article. The skyrocketing expansion of social media is also playing a huge role in how rankings are determined. It’s important to factor this trend into consideration. In my next post, I will cover the basics of what people search for and how to improve your rankings in those searches. (Read Part II in this series on search engine marketing here).